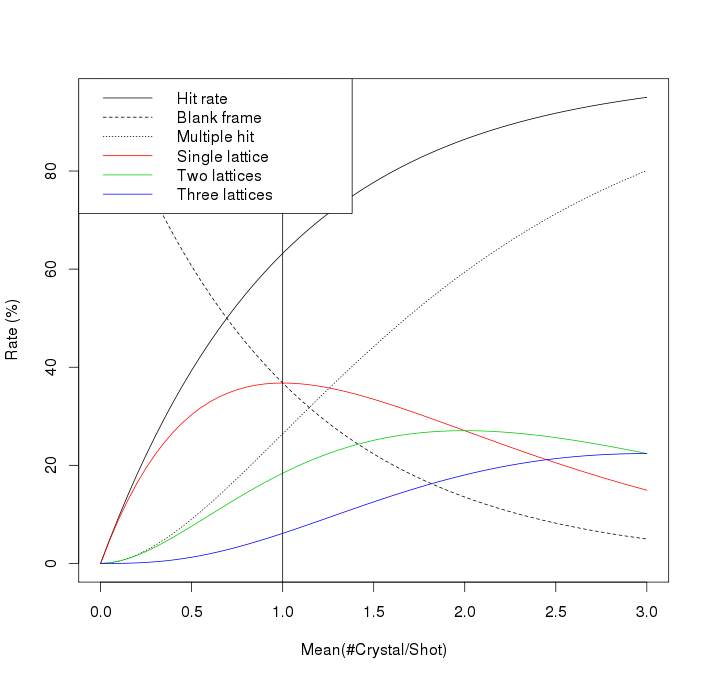 Hitrate was modeled by Poisson distribution as in . The vertical line is at rate parameter = 1. Hunter, Mark S., et al. "Fixed-target protein serial microcrystallography with an x-ray free electron laser" Scientific reports 4 (2014). The plot was generated by the following R code.